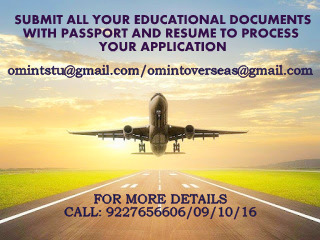 OM VISA Consultancy - Global Immigration, Students, Visitor, Business & Work VISA Consultants: Grab the opportunity to study in Australia, with Om International the leading visa consultancy. Grab the opportunity to study in Australia, with Om International the leading visa consultancy. English Language requirements are high for Health, Nursing, Psychology and Law related courses. $7,000 to 10,000 Scholarships - Bachelor & Masters.